Not taking good care of your teeth and gums can lead to more than bad breath or a toothache. While the nature of the link isn’t always clear, oral health can say a lot about your overall well-being. 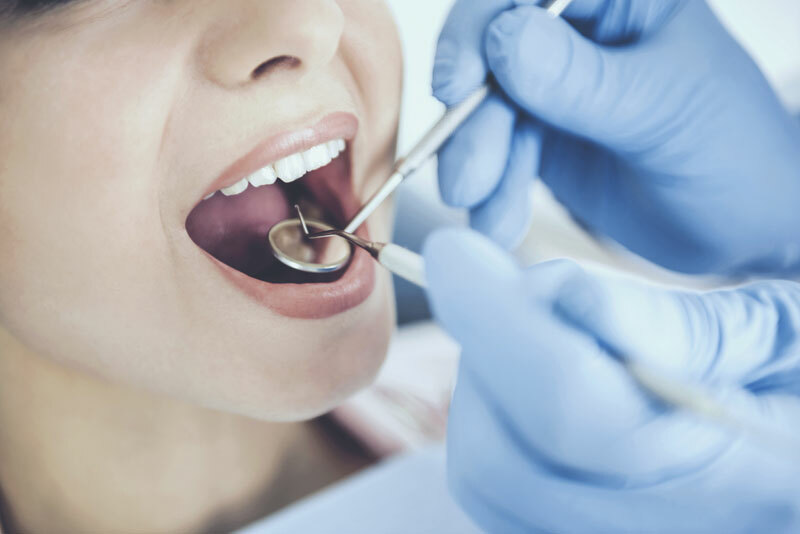 Research has linked oral health problems such as periodontal or gum disease to many health conditions, including diabetes, heart and kidney disease, Alzheimer’s, asthma, osteoporosis, and cancer. Dr. Mariotti says there are more than 120 conditions that have been associated with dental problems. He points out, however, that the research has not established a clear cause-and-effect relationship between oral health and many of these conditions. “It’s hard to show in these studies what the relationship is because these diseases are all multifactorial,” agrees Peter Loomer, DDS, PhD, the chair of periodontology and implant dentistry at New York University College of Dentistry in New York City. The connection between gum disease and diabetes is the strongest, according to Dr. Loomer. Periodontal disease occurs when the gums recede or pull away from your teeth and form small pockets. Bits of food can get trapped in the pockets, and bacteria in your mouth can produce toxins that irritate the gums and cause inflammation. Without treatment, the bones and tissues that support the teeth start breaking down. People with severe periodontitis may have higher levels of HbA1C, a form of glucose-linked hemoglobin that is used to measure how well diabetes is controlled. According to the American Diabetes Association (ADA), the relationship between gum disease and diabetes goes both ways: Periodontitis may affect blood glucose control, and people who have diabetes may be more susceptible to bacterial infection, leading to gum disease. “If plaque is left behind in the gum tissue, it induces a greater inflammatory response and people have more trouble [controlling their blood sugar],” Loomer says. According to a study published in January 2017 in the journal BMJ Open Diabetes Research and Care, nearly 1 in 5 people with periodontitis had type 2 diabetes without knowing it. The researchers suggest that dental checkups may provide an opportunity to screen people for prediabetes and diabetes. It’s very important for people with diabetes to make oral health a priority, Loomer says. Managing your blood glucose level combined with good oral hygiene and visits to the dentist every six months can help prevent dental problems associated with diabetes. But, as the ADA points out, nonemergency dental work should be postponed if your blood sugar in not under control. There’s a lot of research supporting the association between periodontal disease and heart disease, Loomer says. But so far, the evidence is not conclusive. According to Loomer, the connection may be related to inflammatory products such as c-reactive protein (CRP), a protein found in blood plasma. CRP is elevated in the bloodstreams of people with periodontal disease, and its level may rise in response to inflammation in the body. One possible explanation is that bacteria in infected gum tissue could enter the bloodstream and travel to other parts of the circulatory system, causing inflammation and arterial plaque. In one study, researchers discovered signs of oral bacteria in arterial plaque, and research published in 2010 found strong evidence to support the role of systemic inflammation caused by oral bacteria in the development of atherosclerosis. The fact that gum disease and heart disease share risk factors in common, such as smoking and weight, may also help explain why they can occur simultaneously. A 2014 study found that treatment of gum disease may lessen the adverse consequences of heart disease and other chronic conditions. Research published in 2013 indicated a significant relationship between periodontal health and the risk of stroke, and a 2012 study suggests that dental plaque bacteria could trigger blood clots. While there is still no definitive proof connecting dental health to diabetes or heart disease, maintaining good oral health should be an important part of your overall healthcare. The National Institutes of Health recommends brushing your teeth twice daily with fluoride toothpaste (fluoride helps remineralize the teeth, Loomer says) and flossing regularly. You should see your dentist twice yearly for a checkup and professional cleaning. “If you want to live a healthy lifestyle, part of it has to revolve around your oral cavity,” Mariotti says.